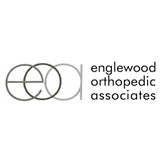 NJ Englewood Orthopedic Associates (Englewood) - Book Appointment Online! Dr. Davis was very professional & did a thorough exam. Follow up visit for 16 yr. old son with a separated shoulder. As always, Dr. Pizzillo was very patient and answered all my questions and my concerns. His answers were clear and concise and his suggestions were very much appreciated. Recommended p/t and advise us what to expect and how the healing process works. Would highly recommend Dr. Pizzillo.